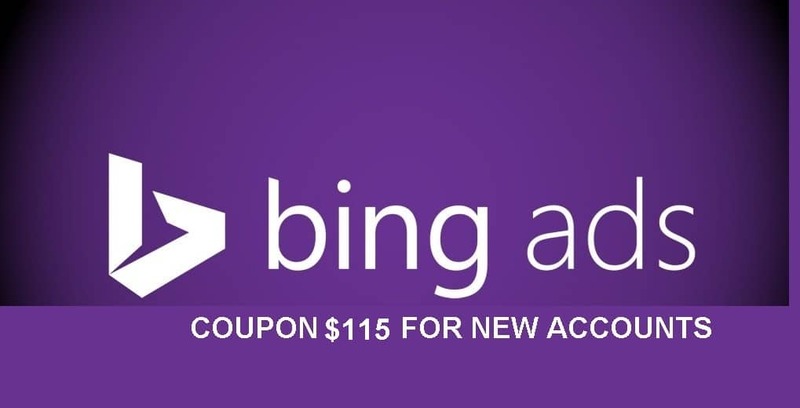 We have bing coupon $115 for New ad accounts. Bing ads is the fastest growing advertising platform. You can advertise on yahoo and bing both networks with the help of bing ads program. Bing ads CPC is cheaper than adwords and facebook ads. works in new ad accounts only. it works in prepaid and postpaid both accounts. can save your money and can boost your business.